Imagine getting the call in the middle of the night: “Come on then!” You are all being taken out on to the deck. 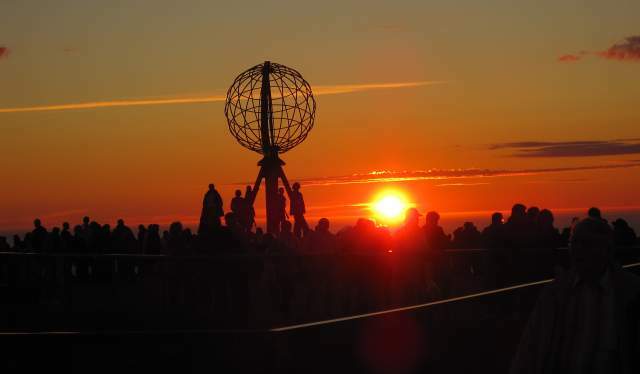 There, a group of excited travellers hurdle together along the railings to spot one of nature’s great displays – be it a pod of orcas frolicking nearby, the alluring midnight sun highlighting ancient Viking heritage sites, or perhaps the shimmering aurora. “People absolutely love it when we do this, and we always try to get everyone in on unique experiences when we have the chance” says Tone Holte, an experienced conveyor of Norwegian culture that now works as an expedition leader with Hurtigruten Coastal Expedition Sailings. The next morning, when your ship docks at one of the most important footholds for arctic exploration, she and the other expedition leaders will assemble your team and embark on the adventure of a lifetime. Your goal: To feel the full force and vivid magic of the arctic gateway, trace down the steps of the early explorers – and experiencing all of it with the comfort of a modern-day vessel. 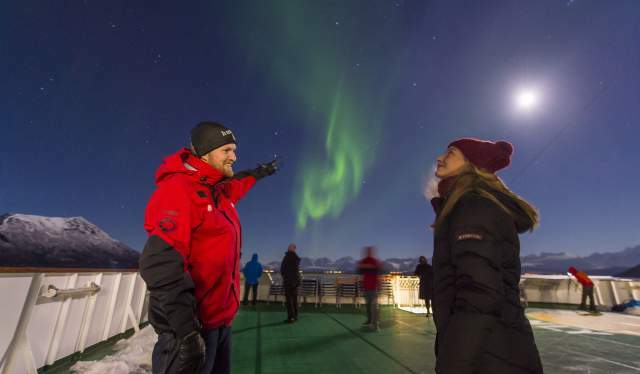 Travellers with Hurtigruten’s Coastal Expedition Sailings will be on board with MS Nordkapp, MS Nordnorge or MS Nordlys – three high quality vessels that will take you deeper into the fjords, and closer to the elements than any cruise ships. Underway, your expedition leaders will both educate and entertain you throughout. 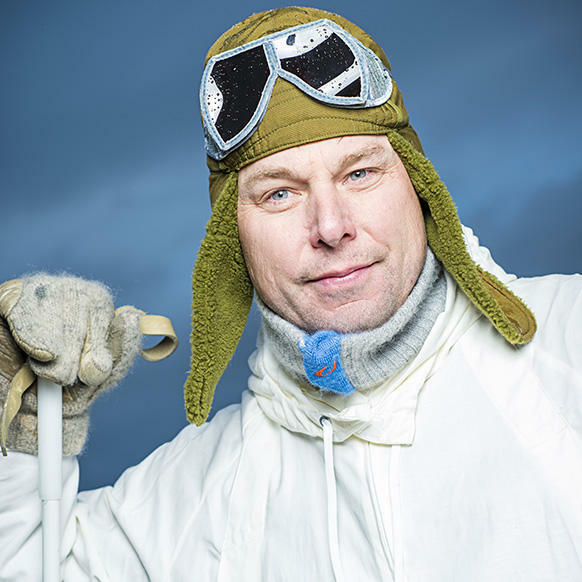 “In earlier times, tourist sailings often had a ‘the mountains speak for themselves’ kind of approach, but we like to do things in a different fashion”, says Ralf Westphal, an expedition leader with a doctorate degree in the peculiars of Norwegian outdoors. 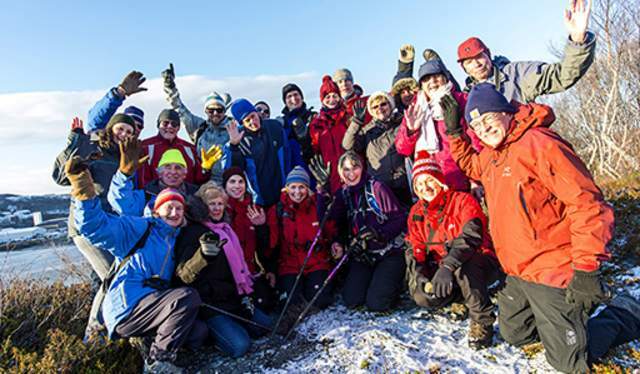 On Coastal Expeditions, more active travellers get a chance to participate in unique excursions. You could be heading off to taste the local “chaga”, hiking to a breath-taking view, or learning about local trapper techniques. Cultural exploration is equally important, and combined with expert lectures and discussions on everything from local geology, to Nansen, Amundsen and the golden age of polar exploration, you are well set for an unforgettable journey. “We also incorporate pieces of Norwegian literature and poetry”, says Ralf and explains that when the Coastal Expedition passes, say, one of the places that Knut Hamsun writes about, they lecture about the writer’s relations to the scenery. The famous writer was awarded the Nobel Prize in literature for his monumental work, “Growth of the Soil”. “And we use his literature to convey the grandness of it”, says Ralf. Together with the expedition leaders, the culture and nature presenters act partly as park rangers and partly as historians. With special interest, education and experience they convey compelling stories about wartime and Viking history, old Norse customs, mythology, songs and arts, as well as historically correct information on what life was like for the early polar explorers. When in harbour, the Coastal Expedition explorers will get access to specialty hikes and onshore activities specially prepared for the seasonal variations. All you need is your own sense of adventure. You will learn, feel, understand, taste and touch new things while awakening your inner explorer. Internationally, the Norwegians are known for their love of the simple outdoors as well as their contribution to Arctic and Antarctic exploration. While on board with the Coastal Expedition Sailings, travellers will learn to understand how the barren landscape of the arctic has shaped the Norwegian way of thinking. 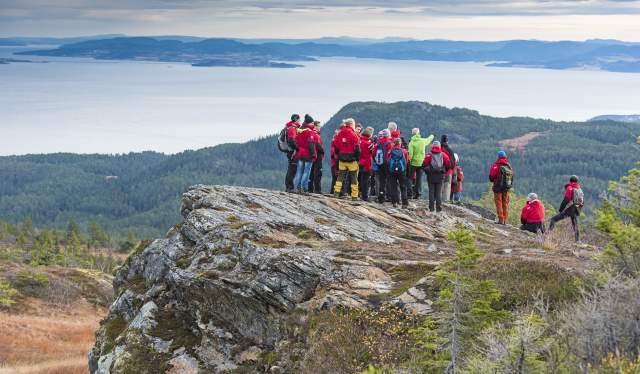 Arctic exploration is no joke, but with Hurtigruten Coastal Expeditions it has become both safe and accessible for all.